Our team at Gaboury Remodeling combines high-quality construction and personal service to create lasting living spaces for our clients. If you are looking for a contractor that you can count on, then we are here for you. With services ranging from residential additions to new construction, we offer our clients complete satisfaction. We demonstrate excellence in functionality, problem solving, aesthetics, Craftsmanship and innovation. For this reasons we have been recognized as one of the Top Construction Companies in West Covina and the surrounding neighborhoods. Our staff have extensive experience working with families on home addition projects. We are here to make sure that your home addition process goes smoothly, and that you experience as little hassle as possible while working with us. We will work with you to design your perfect home addition, bringing your dreams to life and integrating it seamlessly with your existing home. At Gaboury Remodeling, our team of skilled and experienced professionals also helps you create a home that fits your family and your lifestyle. We understand that a new construction is a big project, and managing all that could be tough. We will ensure that the entire process is fun and stress-free as possible, and when we are done you can come home to a house you love. Visit our offices located at 2700 E Workman Ave Ste 510, West Covina, CA 91791, or give us a call on (626)500-1046 and get the right solutions for your home. For Rowland Heights residential home builders who also act as developers, the job starts well before the first nail is driven. They perform local market research to determine whether the prospective homesites make sense in the Rowland Heights, CA market, as well as survey the land on which the house will be built to make sure it is suitable for construction. Custom builders also obtain the necessary permits. 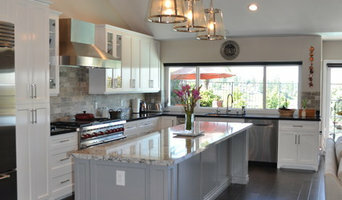 A good custom home builder in Rowland Heights, CA has skills that go far beyond construction — he or she must supervise subcontractors and artisans; keep tabs on local zoning regulations, building codes and other legalities; inspect work for problems along the way; and perform dozens of other roles that are essential in building a quality house. 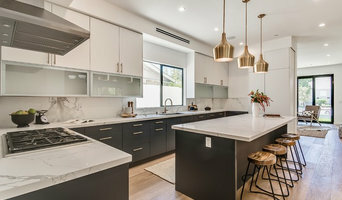 Here are some related professionals and vendors to complement the work of home builders: Interior Designers & Decorators, Landscape Architects & Landscape Designers, Architects & Building Designers, Kitchen & Bath Designers, Specialty Contractors. House builders are responsible for ensuring that the home-building project sticks as closely as possible to the specified timetable, particularly in the event of change orders. Custom and luxury home builders in Rowland Heights, CA also need interpersonal skills to deal with clients of all types, soothe frazzled nerves, negotiate conflicts and resolve problems. 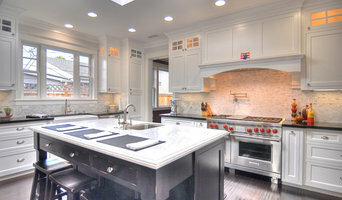 Find custom home builders in Rowland Heights, CA on Houzz. Narrow your search in the Professionals section of the website to Rowland Heights, CA home builders. You can also look through Rowland Heights, CA photos to find a house you like, then contact the builder who worked on it.